Wisma Central is a strange place to find yourself looking for a costume shop. 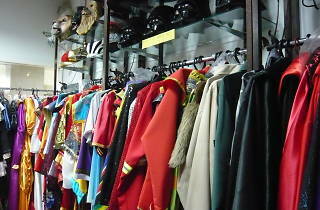 Tucked discreetly in a corner, Costumes Empire is a small shop but a good one. There’s no obvious signage but you’ll see the mannequin outside the door, outfitted in whatever costume that strikes the staff’s fancy (on our visit it was a red Riding Hood outfit accessorised with a green witch’s hat). Inside it’s bright and clean, with most of the costuming genres well represented: fairytales, Star Wars and a good selection of jewel-toned ‘retro’ clothes. 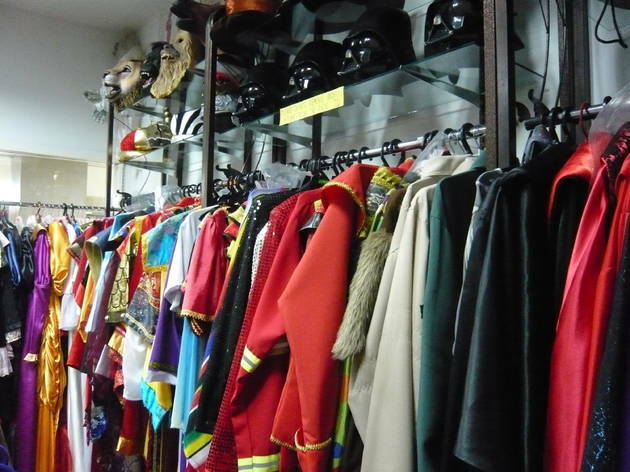 And if you can’t find a Red Riding Hood costume anywhere else, you’ll find it here – we spied one entire rack full of them.